Aiming for that UP Sablay? Wanting to feel the school spirit while cheering for Ateneo or La Salle? Hyped by the thrill of UST’s Paskuhan? But before anything else, you need to make sure to pass all of your entrance exams. How? The doors will soon open, only if you come and grab it. The College Admission Test Review Sessions (CATeRS) is an annual event open for Grade 12 students from Nueva Ecija. It consists of a series of lectures in different areas such as Science, Mathematics, Language, Reading Comprehension and Abstract Reasoning. 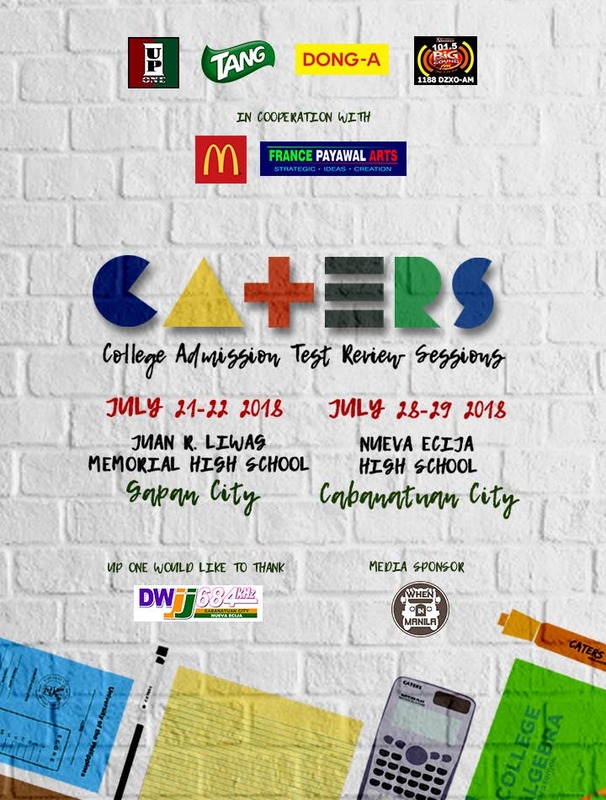 CATeRS is a two-day event filled with tips and topics from instructors who graduated from the University of the Philippines, with a career talk on the side. 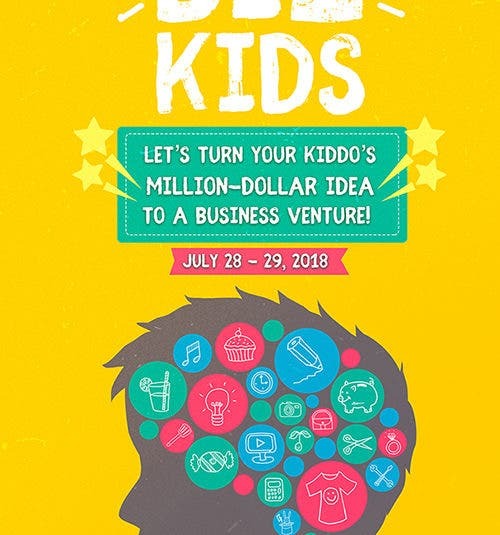 It will happen on July 21-22 at Juan R. Liwag Memorial High School, Gapan City and July 28-29 at Nueva Ecija High School, Cabanatuan City. Your P100 is inclusive of review materials, mock exams, answer keys, solution sets, plus many freebies! Now, there’s no need for you to travel far to gather all of these! Just register at tinyurl.com/caters2018 to secure your slot. So, what are you waiting for? Join now! The UP Organization of Novo Ecijanos is a non-profit provincial organization based in UP Diliman that works in service of and for the betterment of the province of Nueva Ecija.